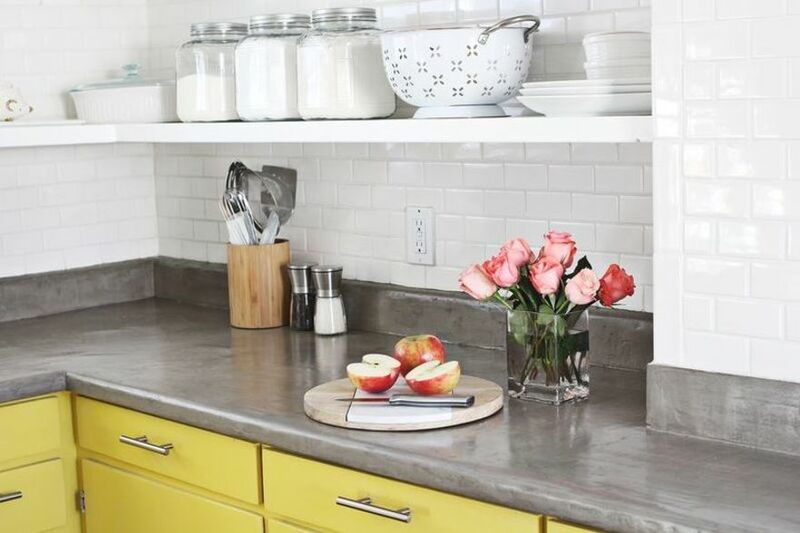 If your kitchen has ugly laminate counters, you may dream of having new countertops installed. The problem is that buying and installing them can be tricky and expensive. 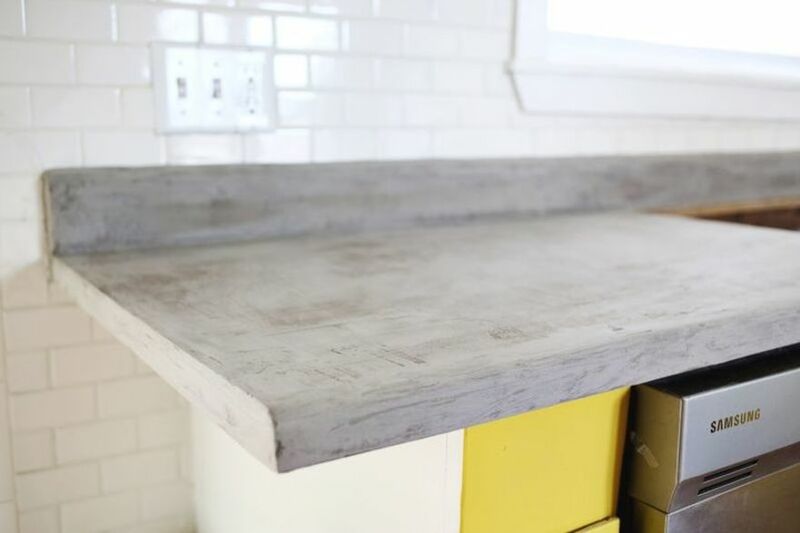 So when the creators of A Beautiful Mess found this DIY project for concrete countertops, they had to try it out for themselves and the result is gorgeous. 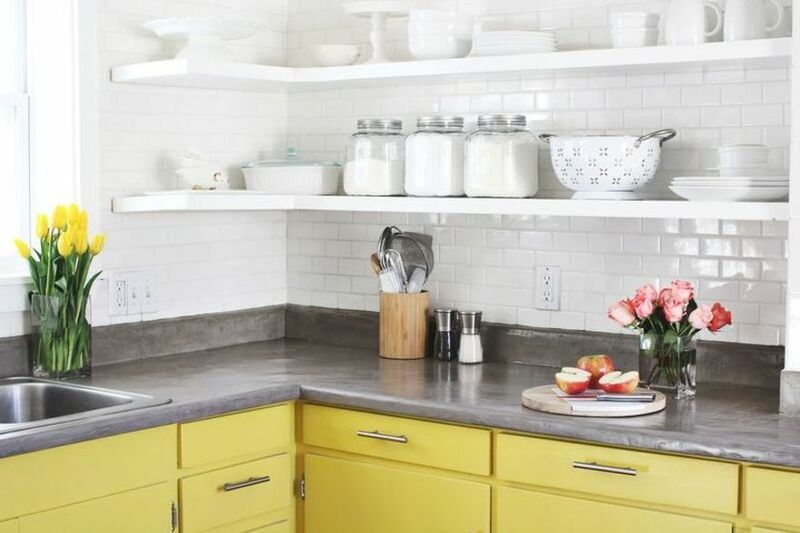 Removing everything from the countertops and cleaning them beforehand will make them easier to work with. 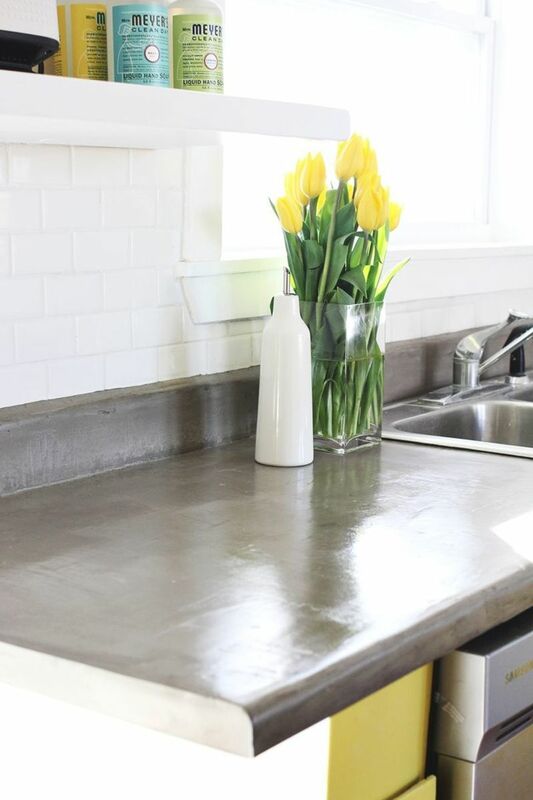 Because the cement will adhere better to a rough surface, you want to down the counters and then clean them with a damp cloth and allow them to dry completely. 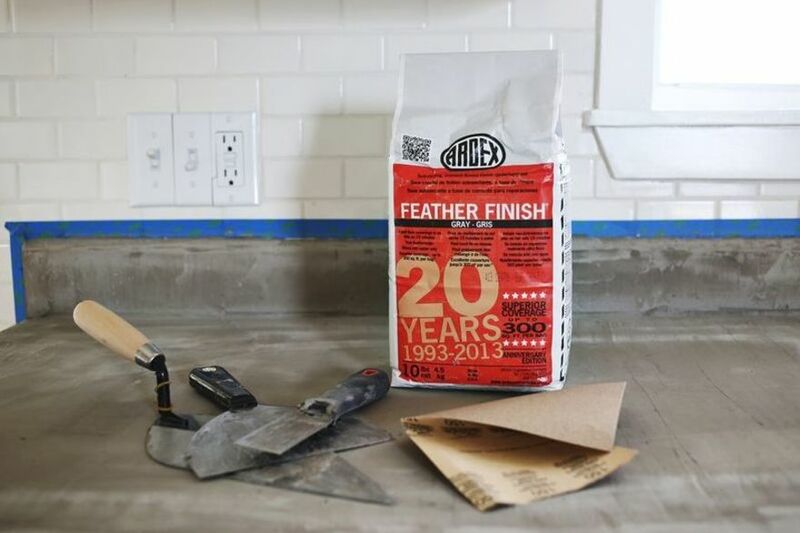 The painter’s tape will ensure you don’t get any cement on the wall, cabinet, or anywhere else you don’t want it. 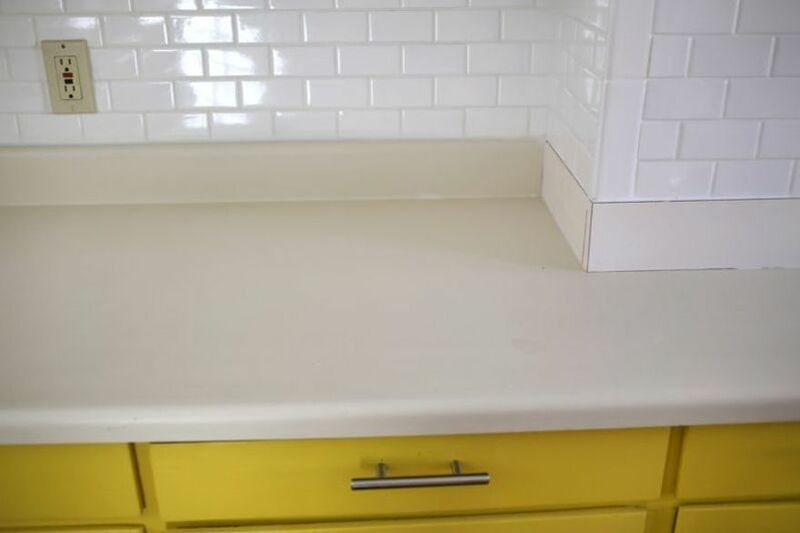 They also removed the sink to ensure no spot was left uncovered. Then, sand it down again with a medium grade sandpaper and lay down another coat. 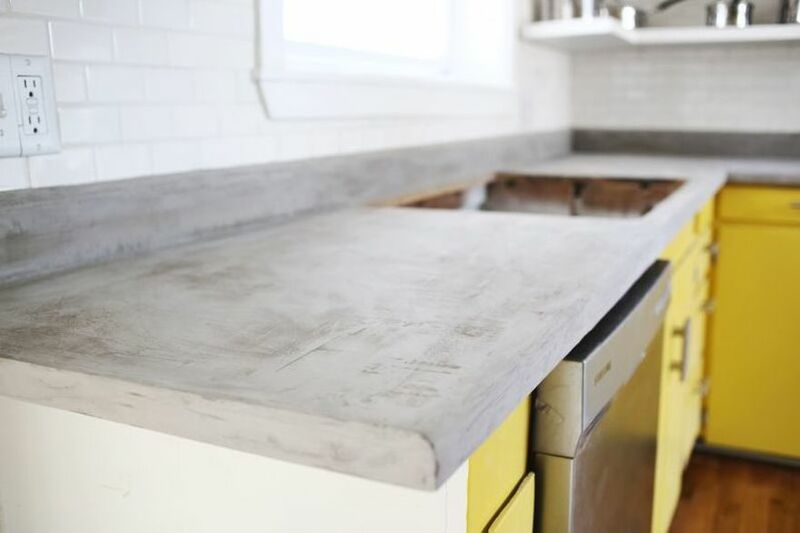 Don’t worry about making the surface as smooth as possible just yet, as it only needs to be enough so that the countertop surface is even. Cleaning off the dust in between coats will help as well. 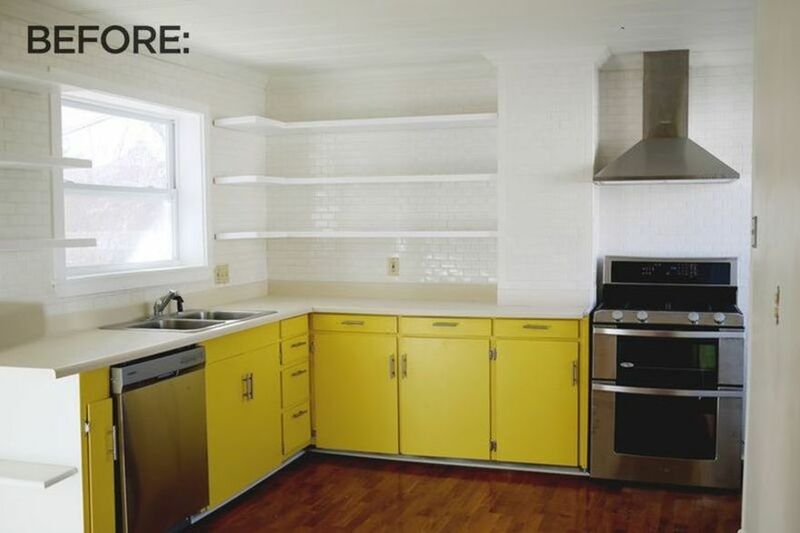 They used a total of 3 coats for their project, letting it dry for 24 hours in between. 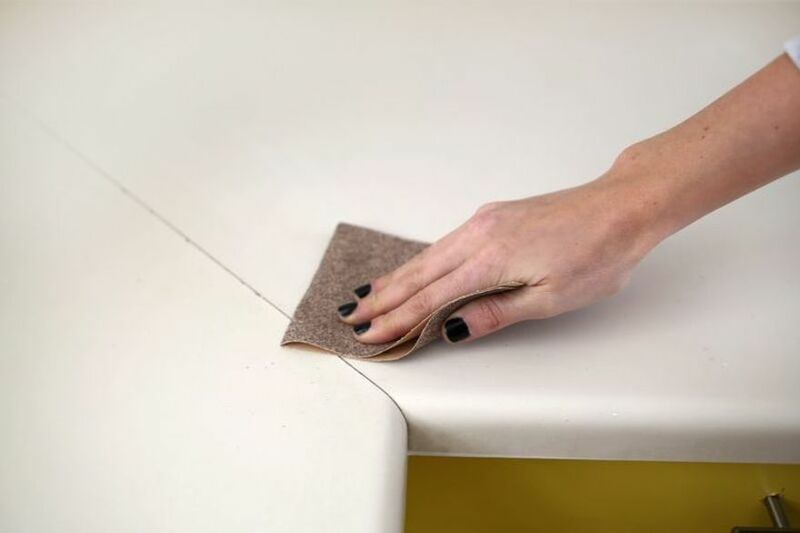 This step will take several hours, as you want to sand the surface to make sure it’s as smooth as possible now. A hand sander works very well for this step, although it is optional. A shop vacuum comes in handy while trying to remove all the dust. 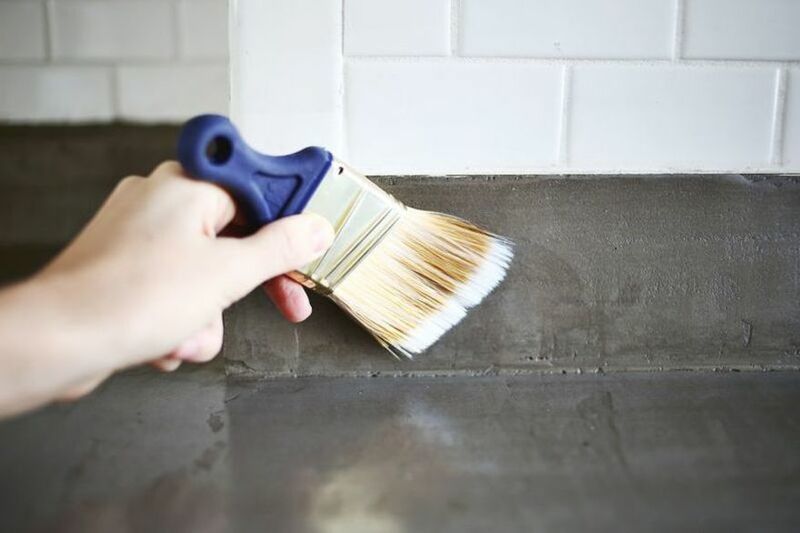 Apply the sealer with a paint brush and paint roller. 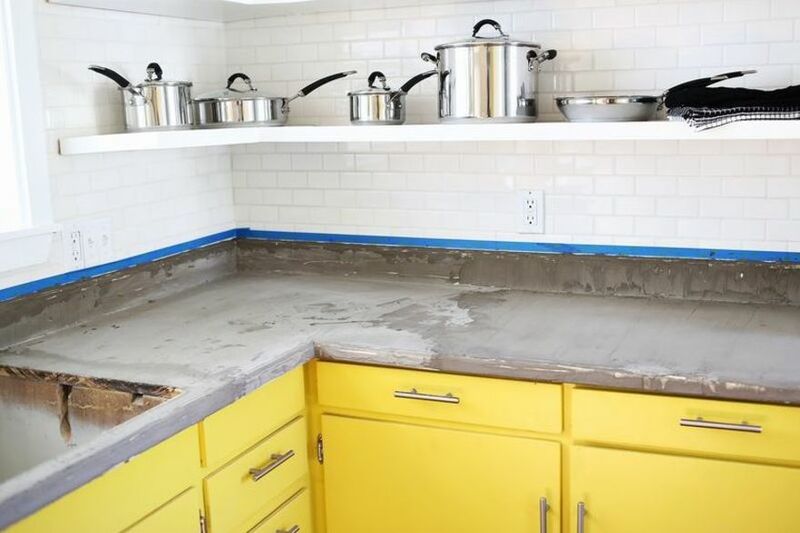 Afterwards, let it dry, remove the tape, and reinstall the sink. 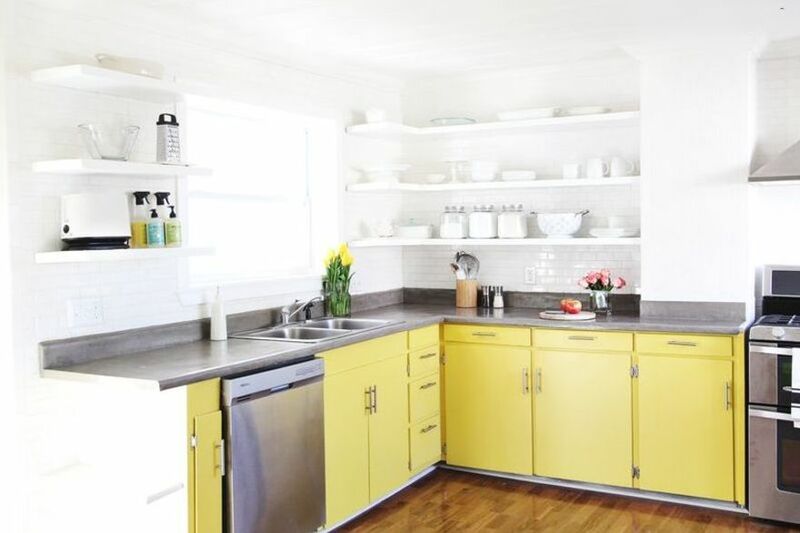 The final results are stunning, and the entire kitchen looks fabulous! 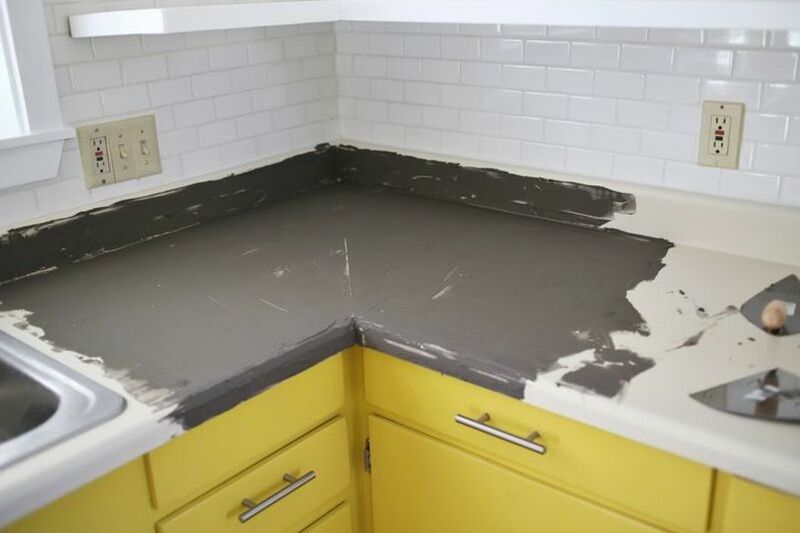 It appears as if a professional did all the work. The sealer even provides a nice glow to the room. And it was all completed well within their budget of $100! To learn more details and find the full tutorial, head here.